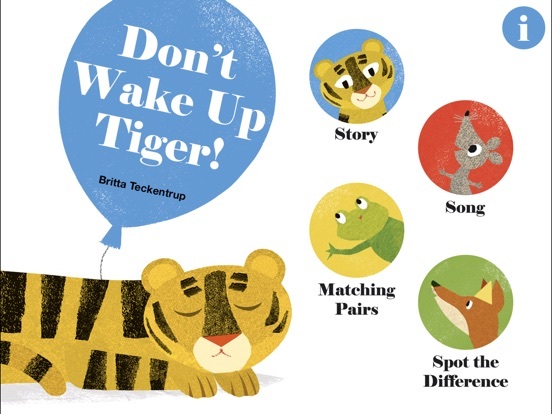 Based on the internationally best-selling and award-winning picture book by Britta Teckentrup, Don’t Wake Up Tiger features a beautifully animated and interactive story, a song, and two fun games – Matching Pairs and Spot the Difference. 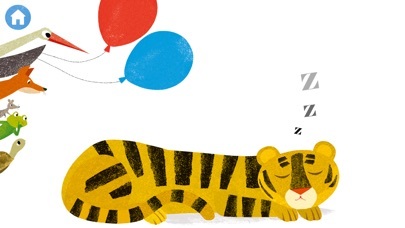 Tiger is fast asleep, but – oh dear! 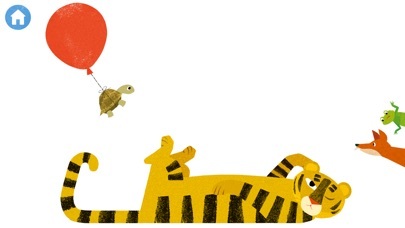 – she’s completely in the way. 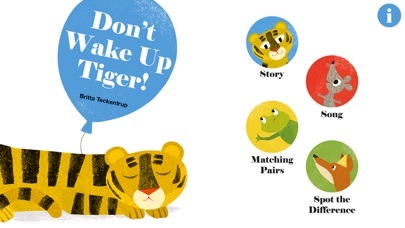 Just how will the animals get past without waking her up? 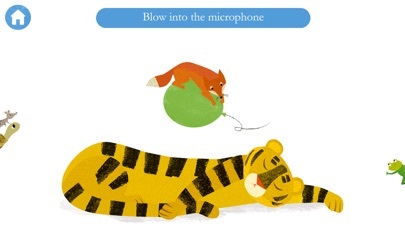 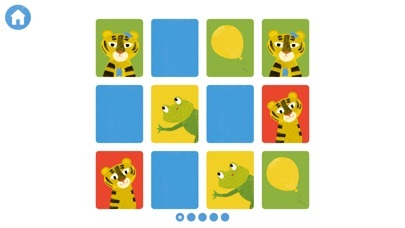 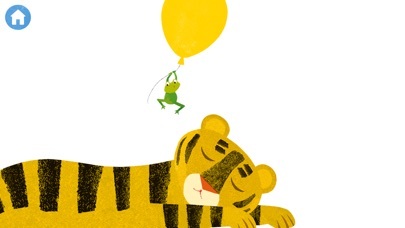 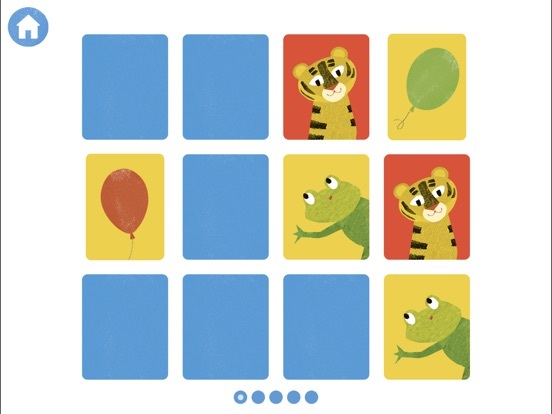 Luckily, Frog has an excellent idea and, holding his balloon, he floats right over sleeping Tiger! 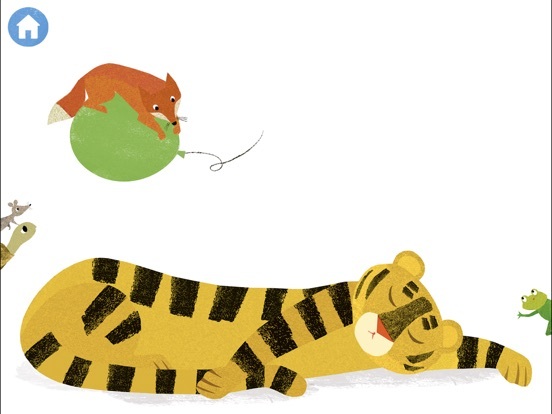 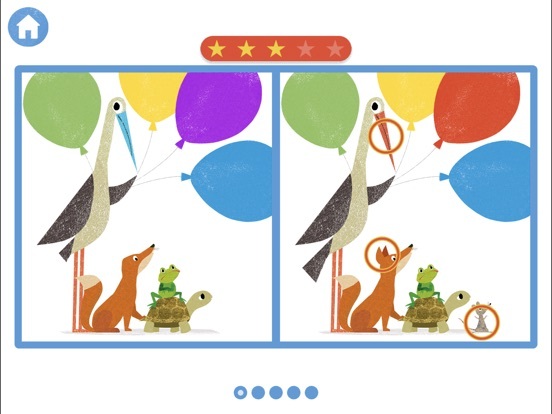 Fox is next, followed by Tortoise, Mouse and Stork, but it will be tricky for all to get past without Tiger stirring… they definitely need your help! 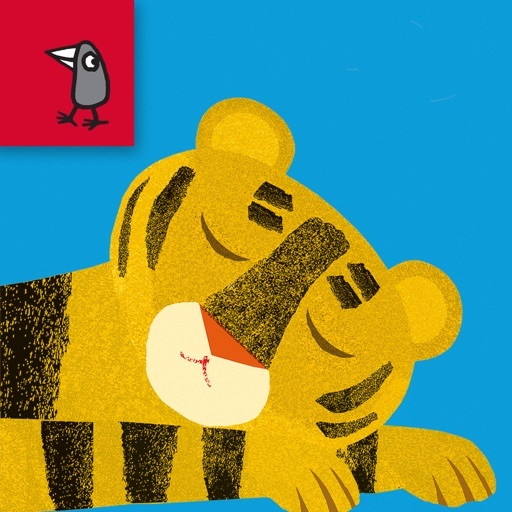 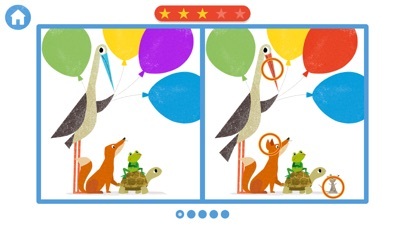 From Nosy Crow, the creators of award-winning apps.